Save water, time and money with proper irrigation tips. Even with record breaking spring rains this year, lawns have suffered intense heat and drought through the summer. Many browned out completely and suffered damage from spring-spread fungal diseases. Watering your lawn the right way can not only help save it during times of heat stress and reduce disease problems, but also save a lot of water. 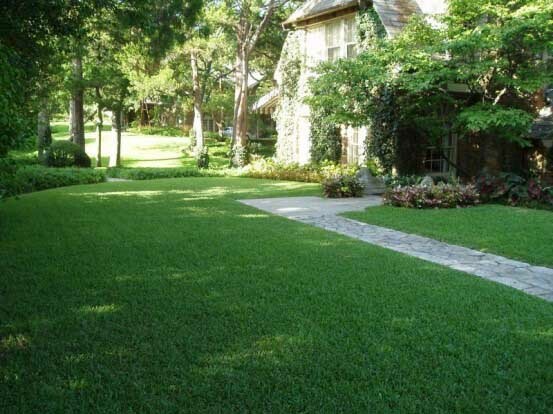 Unfortunately, many homeowners have been misguided about how to water their lawns; resulting in a lackluster lawn despite a big water bill. Our tough clay soils present unique challenges when it comes to lawn irrigation. When it’s raining heavily, the clay soil will hold onto too much water, suffocating roots and spurring fungal diseases. When the rain stops and the clay soil dries out, it can turn into a hard brick that is unable to properly absorb your irrigation water. 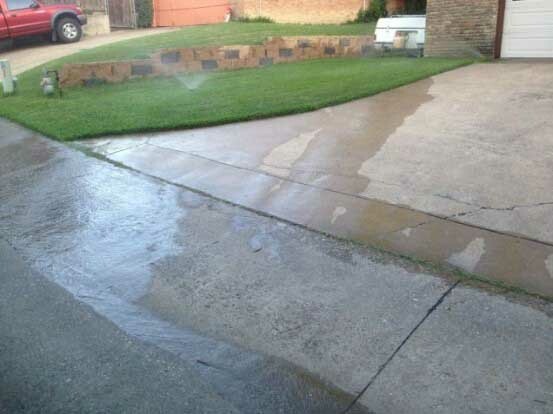 For example: If you were watering your lawn this summer and noticed that at some point in the cycle the water started running down the street – you have what we call a runoff problem. The soil is too hard or compacted to be able to absorb all that water in one dose. Sloping landscapes, soil compaction and improperly working sprinkler systems could all be adding to the problem. Irrigation water that can’t be absorbed into the soil will drain off into the street, down the storm drains or into our lakes, rivers, and drinking water supply. This is bad for many reasons. First, it is a huge waste! There’s no sense in wasting all that irrigation water if half of it is just going to end up in the storm drains. Plus, water runoff takes a lot of desirable, and undesirable things, away with it. Nutrients your plants need, plus toxic pesticides and fertilizers, are carried away with the runoff. Even if you are 100% organic in your garden, there is still soil sediment (erosion), pet waste and other toxins that make their way to your yard to be carried off by runoff. A great way to solve this problem, save water and grow a better lawn is to use the cycle & soak method. First, let’s analyze how you’re watering. Do you water your lawn all at once, and if so how long? If you’re only watering using one cycle, then all the water you deliver may not get absorbed. The trick is to split up your watering into several cycles, all on the same day. Here’s how the cycle and soak method works to save water. Run your lawn zone for a short period of time; say ⅓ of the time you’d normally run it. In stage 1 you are first cracking the soil surface and saturating the top layer of soil. Shut it off and allow the water to soak in. Once the water is fully soaked in, run your system again and deeply soak the soil. If you live on a slope or your soil is very compacted, this will be the most beneficial soak. Water will saturate more efficiently and deeply the more cycles you water. Depending on your soil structure, you could use two to three cycles. Timing Sample: If you water your lawn zones for 30 minutes to deliver the equivalent of one-inch of irrigation water, then with the cycle and soak method, you’ll break it up into either two15-minute cycles or three 10-minute cycles. All on the same day. Of course, none of us have time to do this manually each time we water. Do it manually the first time so you can see how long you can run your first cycle before water begins to pool. Your irrigation clock comes with the ability to use A, B & C cycles. You can set up separate cycles, with separate start times, to automate two or three watering cycles the same day. Be sure to adhere to local watering restrictions and assigned watering days: In Dallas, automated systems may not be run between 10am & 6pm.